Today is “reveal day” for Group D of the Secret Recipe Club, hosted by Sarah of Fantastical Sharing of Recipes. This month, I was assigned to Melanie of Fabulously Fun Food. I am so embarrassed because I have known what I had planned to share for this very day weeks ago, but totally spaced out and got my weeks mixed up. So, this post is going up a few hours past today’s deadline. Melanie, I am so sorry! The good news is that this recipe is so easy that you can make it in time. 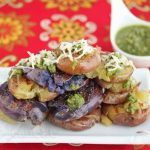 In fact, I made this Hasselback or Fanned Sweet Potato, wrote this post, and photographed it hot out of the oven in just 2 hours! I don’t think I’ve ever cooked, photographed and written a post in that short a time ever. Just goes to show if I really focus on something 100%, I can do it in a lot less time. Life has been a whirlwind the last few weeks, with school starting for my kids at four different schools, open houses, sick family members (including myself on my birthday), and my husband just starting a new job. I need to slow down a bit and just take a deep breath. Anyway, onto these fantastic Fanned Potatoes (sometimes called Hasselback Potatoes) that I spotted on Melanie’s blog about a month ago. Melanie had made these for Secret Recipe Club a little while back (from Lyndsey Lou’s). 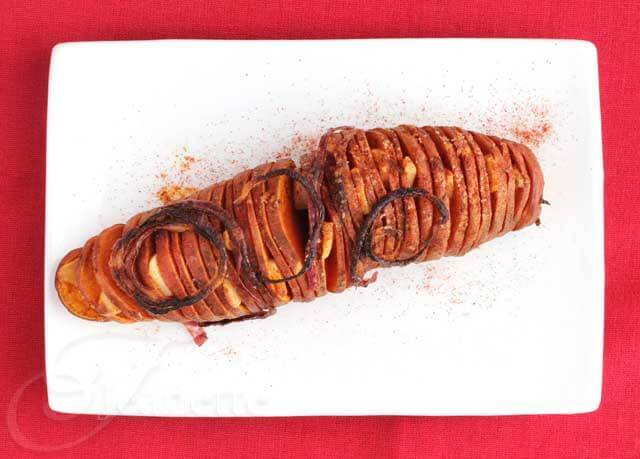 I’d seen these potatoes called Hasselback Potatoes all over the web last year and have been intrigued for a while by them, but never got around to making them. Little did I know just how easy they were to make. I’ve made these multiple times already (including in my crockpot), but for some reason never got a good picture of them. I think my kids were probably too hungry to wait for me to photograph these beauties all the times I’ve made them. I’d planned on making Sweet Potato Hasselback or Fanned Potatoes this week so I could photography them for today’s post. Well, when I got an email from Sarah telling me that my post was missing, I was just horrified! I dashed home from the supermarket and scanned through my photos…none were to be found. Fortunately, these potatoes are so easy to make, that I made one right there and then. 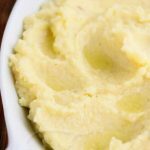 There are a few tricks to making the nice slices in these potatoes before baking. I saw these along the way when I first tried this recipe. First, if you have an uneven potato that just won’t stand up straight, slice a small piece off the bottom so it will lay flat. Second, to help avoid cutting through the potato all the way, place a pair of chopsticks on each side of the potato lengthwise. This will prevent you from cutting all the way through. Let me introduce you to Melanie from Fabulously Fun Food. Melanie is not only smart, but she’s a good cook – she’s a biologist by day, but loves to cook in the evenings. After living in Germany for two years, Melanie and her husband settled back in the US and are currently living in Nashville, TN. 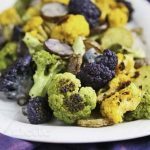 Melanie has a section on her blog of her favorite recipes – they all look so good, but a few caught my eye, including the Jamaican Jerk Chicken, Shredded Brussels Sprouts and Vegetable Quinoa Pilaf. Please stop by Fabulously Fun Food and say “Hi” to Melanie. 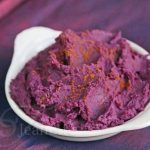 This works great with sweet potatoes or russet potatoes. This is a great recipe for entertaining or just for fun. My kids love these. Cut off ends of potato. If potato does not stand up, slice a small piece off the bottom (horizontally). Place a pair of chopsticks on each side of the potato, parallel to the potato. Carefully, cut thin slices into the potato. If chopsticks are placed properly, the knife will not go all the way through as the blade will hit the chopstick first. Place garlic slices in between some of the potato slices. Drape onion slices on top. Drizzle a little olive oil on top and season with a sprinkling of chili powder and salt. Roast the potato until cooked through, about 50 minutes to an hour until tender. Baking time will depend on the size and thickness of your potato. Sorry to hear you were sick on your birthday Jeanette, that’s a bummer. Hope you are feeling better and still had a nice birthday! This might be the prettiest sweet potato I have ever seen. 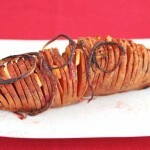 I have always wanted to try a hasselback potato, hearing how easy you made it sound I think I need to try it out. Such a beautiful presentation! Wonderful job on such short notice! I bet you were in hyperventilation mode for a while, but you should be overly proud of yourself, what a nice post you wrote! Actually I’ve made Hasselbach (white) potatoes once, but messed up really bad, my potatoes were hard inside and burned outside. Amazing what I am able to do sometimes! 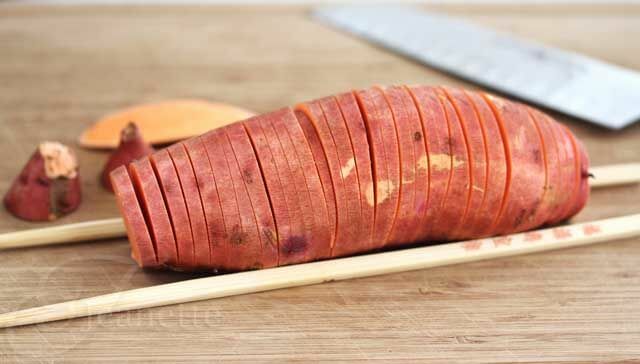 I think sweet potatoes would be fantastic, and I’ll be trying your recipe, plus the tricks to cut the potatoes. Cool! I hope you’re feeling better – it’s awful being sick any day but worse on your birthday! I’m impressed that you made this, photographed it and posted it in 2 hours!! It looks delicious and I love the fan shape of the potatoes. I’m going to try the chopstick trick next time. I had your blog this month and really had fun looking around – you have a lovely blog here. Happy SRC reveal day! 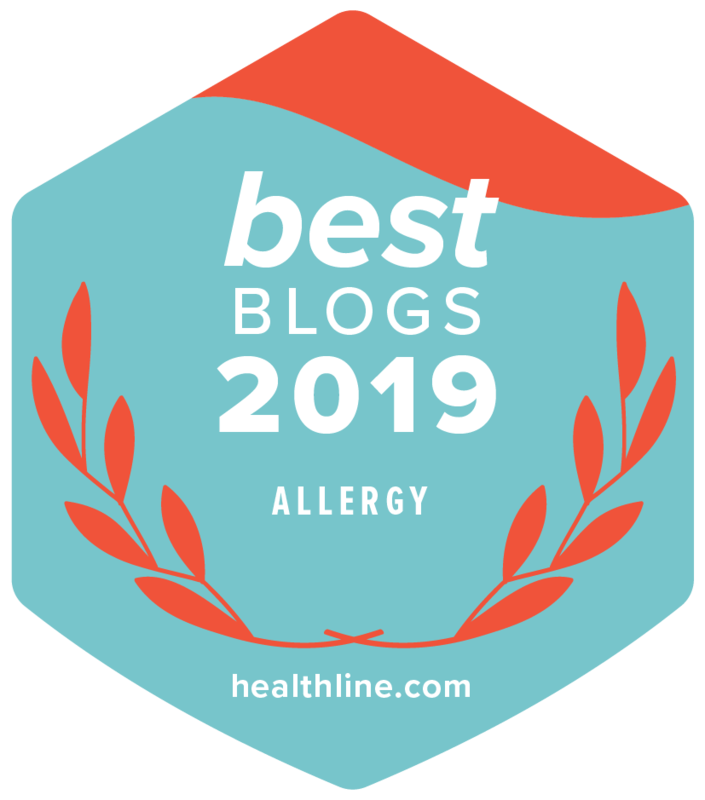 Thanks – and I’m so glad you tried those chocolate pomegranate nut clusters for SRC – they’re good and so easy to make! 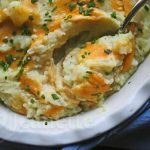 I’ve made this recipe with the white potatoes but now I am dying to try it with the sweet potato. Looks delicious. Great tip too using the chop sticks. Hope you are feeling better. Have a lovely week. 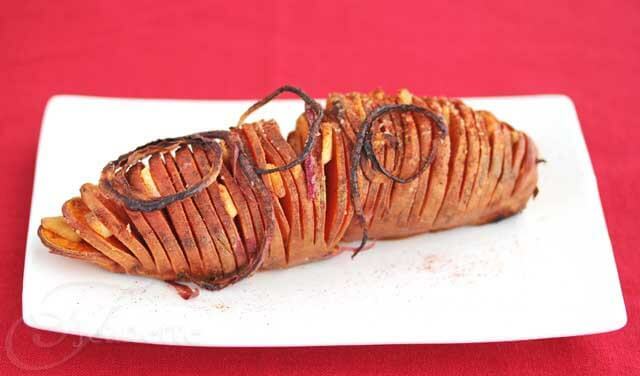 I’ve done this with regular potatoes, but I like sweet potatoes better and never thought to cook them this way. Thanks for sharing!!!! 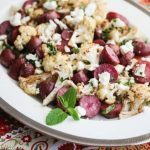 I’ve been wanting to try this potatoes for a long time but just haven’t gotten around to it…looks fabulous and quite amazing your go it all done is so little time! 🙂 Great SRC pick! These look amazing and thank you for sharing your slicing tips! Yum! I eat sweet potato daily, saw this on Pinterest and have wanted to try it forever. Doesn’t look that complicated either! Aha, the secret chopstick technique revealed! Thanks — I’ve always wanted to try this, and now I know just how to do it. And I love the idea of making these in the slow cooker, too. Do you wrap them in foil? Isn’t that funny Lydia! I’ve always wanted to try making these “fancy” potatoes so when I found this trick, I knew I had to try to it. These are fun to make and eat. The kids love these “fancy” potatoes. This is a great post! You did a stellar job in such a short time, I bet you are feeling proud, and rightfully so. I loved your tip too! These look delicious! And love the tip of using chopsticks to keep you from slicing all the way through -i’ll have to try that! One word: love. (Ok, a few more: could eat 4 of these to myself in one sitting ;-)). 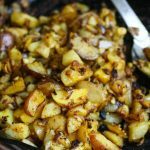 Potatoes are the ultimate comfort food for me! What a fabulous trip Jeanette. SO smart. I’m going to use that trip on a wack load of things. The sweet potato looks amazing. I could go for one right now. What a great idea! 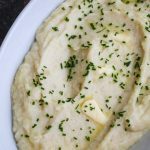 I’ve always wanted to try potatoes like these, but I think with the sweet potatoes you don’t have to convince me any more! Great idea with the chopsticks Jeanette!!! I am totally copying that 😉 It does sound like you have a lot going on. Time to make a big pot of soup that takes all day – that always slows me down! Thanks for all your comments! Hope you all have a chance to try the chopstick trick. 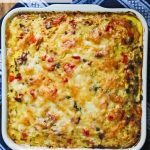 I’ve been making these at least once a week for the past month for my kids using both sweet and Idaho potatoes – they’re fun to eat! Love this! I believe there is a version of this in one of the cookbooks I own by Heidi Swanson that I had bookmarked to make awhile ago-now I have no excuses! Love your chopstick trick too, and hope you are feeling much better!! Thanks for a great recipe! Made this last night and it was a hit with my whole family. I will definitely make it again and again!!! Ginette – so glad you tried these and they were a hit. I’ve been making them a lot too now that I found out how easy it really is to make. Thanks for the feedback – I love hearing from people who try the recipes on my blog to see how things turn out.